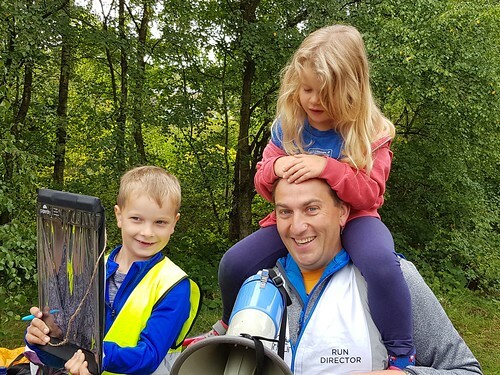 What do you need to know for this parkrunday? The Weather: It's forecast to be a pleasant 14-16°C, with sunny intervals & a gentle breeze! parkrun Milestones: It looks like we may have a bumper crop of parkrun milestones, with 6 parkrunners potentially reaching a milestone. With Poppy Bennett one run away from her 10th parkrun (a milestone only recognised for juniors) Robert Kelford, Gordon Turner, Jamie Bloxidge just one run away from their 50th, and Simon Hassett & Glynis Barker only one away from their 100th parkrun! If you're not Poppy, Robert, Gordon, Jamie, Simon or Glynis, then please let us know as we'd love to celebrate your achievement! Under 11's must be accompanied by an appropriate adult at all times. Dogs are allowed, but only one per runner, and they need to be kept on a short lead. Please give consideration to other runners & park users. Only once through the finish funnel, go all the way through to the end, stay in order & don't forget to pick up a finish token. If you're a trained first aider or medical professional why not grab one of our first aider armbands. Oh, and one more thing......enjoy! If the week between parkrun seems to take forever to pass, as you long for your next hit of parkrunfun (or even if it flies by!) there are a couple of parkrun podcasts now available for you to enjoy, with the official parkrun podcast free weekly timed, along with the independent with me now, which for those who listened to the previous parkrun Show, is also brought to you by Nicola & Danny. Other than at Shorne, where can you find us: As well as finding us at Shorne Woods Country park each Saturday @ 9am, you can find us on facebook, twitter, and on Instagram, as well as news & photos on here. For those of you new to parkrun, there are different milestones that are recognised with a free (yes free!) t-shirt. For walk/jog/running your weekly 5km parkrun, your 10th (juniors only) 50th, 100th, 250th & 500th all receive a t-shirt, while for volunteering 25 times you also get a t-shirt. And just in case you're wondering, 24 people have run/walked or jogged over 500 parkruns, with the highest well over 650! The founder of parkrun (Paul Sinton-Hewitt) has been working on a new project, looking to start a more inclusive clothing brand for runners, you can find details of Paul's plans for Contra here. Look forward to seeing you tomorrow for some parkrunfun! This entry was posted in The Notice Board by shornewoodsoffice. Bookmark the permalink.